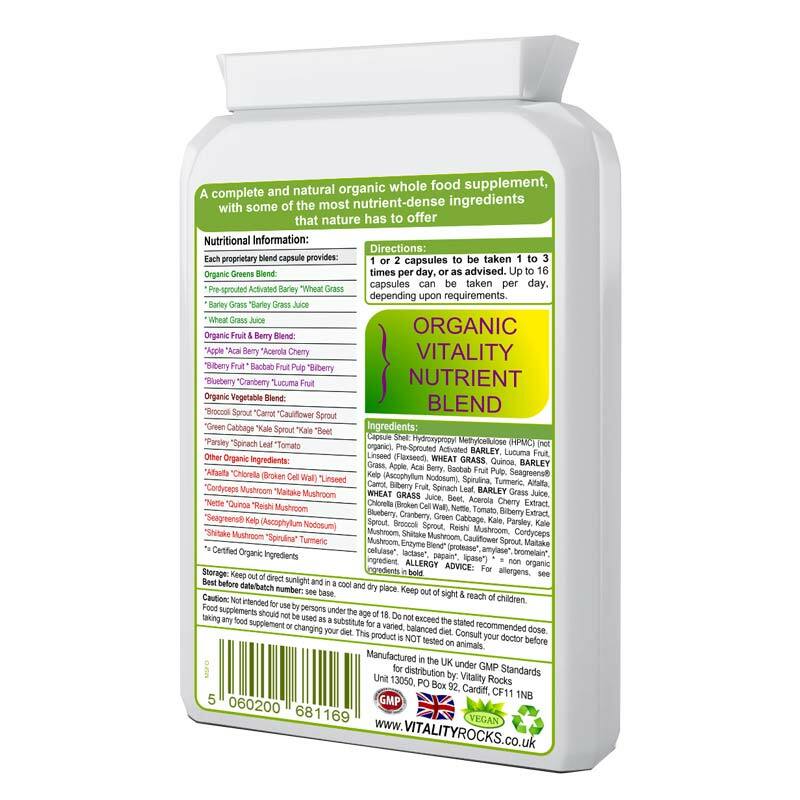 OrganiVita is a power packed, food form superfood supplement packed with rich, organic ingredients. It's sometimes difficult to get your five a day and is five even enough? 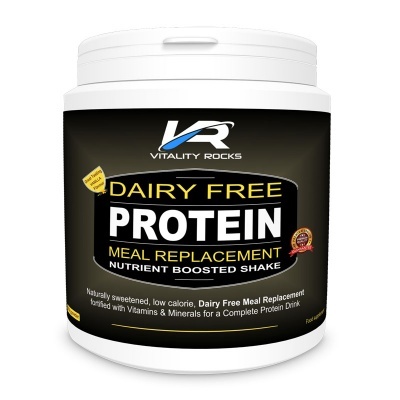 At Vitality Rocks, we like to blend our products to contain as many nutrients as possible. With this in mind, we developed our OrganiVita supplement to help provide nutrition in a convenient and easy to take form. 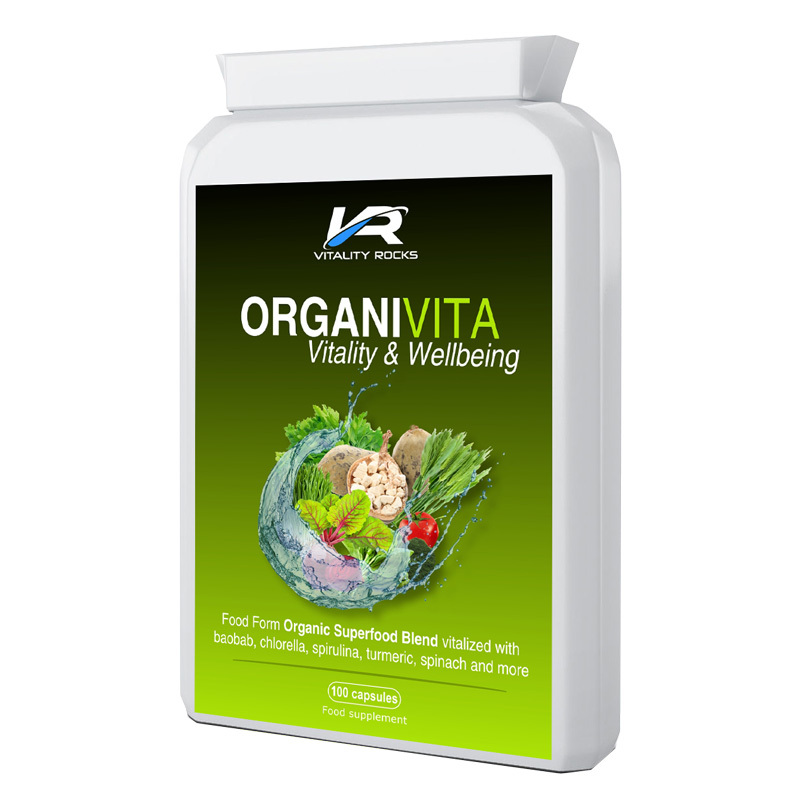 OrganiVita contains a blend of 12 organic fruits, vegetables and herbals that can be taken on a daily basis to provide your body with a boost of superfood nutrition. With organic green ingredients such as pre-sprouted activated barley, barley grass, parsley, spinach leaf, spirulina, wheatgrass, chlorella and alfalfa, you'll feel the benefits of these superfood powerhouses when supplementing your diet on a daily basis. 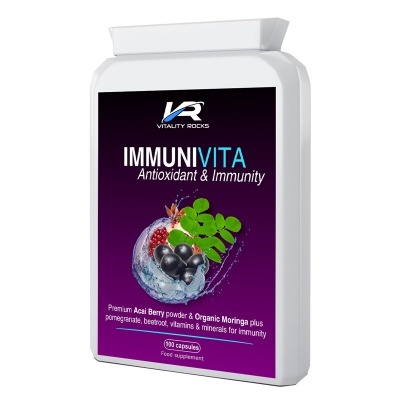 Add to that with baobab, beetroot, tomato and turmeric root and you've got a complete superfood blend that offers superior nutrition to your daily diet. 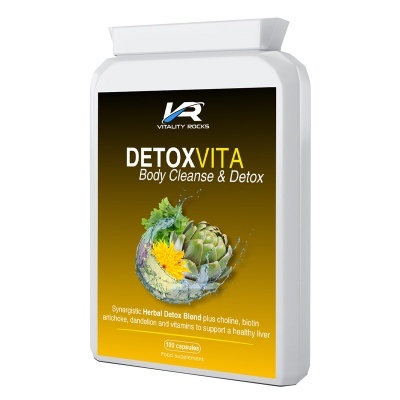 Try it for 30 days - feel the difference when you nourish your body daily with OrganiVita? 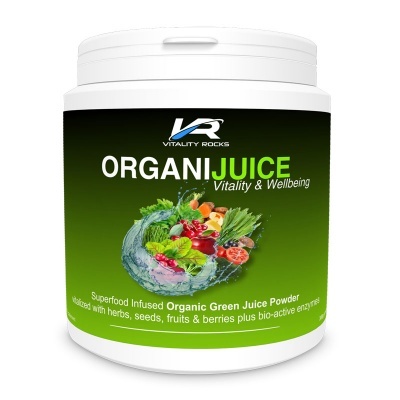 For extra benefits, use in conjunction with a daily drink of OrganiJuice! We recommend taking OrganiVita continuously for 2 to 3 months in order to derive maximum benefits. 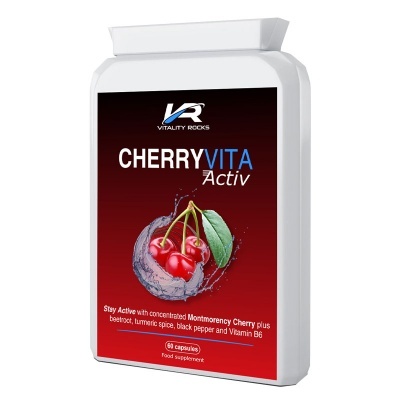 *Activated Pre-Sprouted Barley Grass Powder, Capsule Shell: Hydroxypropyl Methylcellulose (HPMC) (not organic, Vegetarian), *Spirulina Powder, *Barley Grass Powder, *Wheatgrass Powder, *Alfalfa Powder, *Turmeric Powder, *Baobab Powder, *Beetroot Powder, *Chlorella Powder, *Parsley Powder, *Spinach Powder, *Tomato Powder.